Water retention is also known as fluid retention or edema, and is characterized by a build-up of excess water in the tissue and circulatory system in the body. 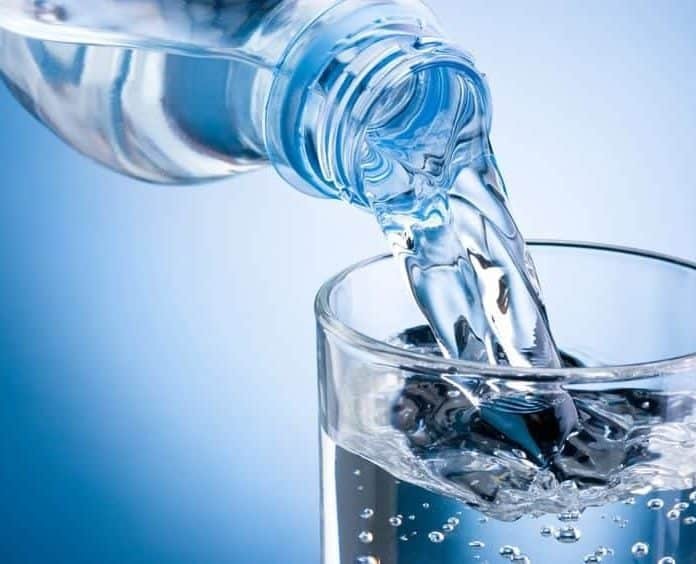 The human body is made up of up to 70 percent water. It is an important component of blood, digestive juices, urine, sweat, and is also found in the muscles, fat and bones. However, too much water can be detrimental to our health. Water retention is caused by things like heart conditions, kidney failure, liver cirrhosis, medications, pregnancy, obesity and malnutrition. Symptoms of water retention include swelling and puffiness of the body, skin that feels and looks tight, bloating in the abdomen, and skin that doesn’t bounce back quickly when pressed. Water retention is often a symptom of other issues, and if left untreated it can cause a decrease in mobility, pain and damage to the skin. Treatment for water retention includes a healthy diet and exercise, avoiding alcohol, smoking and excessive salt, and can also be managed by use of compression stockings, massage and elevation of the affected limb. Here are ten home remedies for water retention. Dandelion is a flower that belongs to the sunflower or Asteraceae family, and also goes by the name of Lion’s Tooth, Puff Ball and Royal Herb. It’s scientifically known as Taraxacum officinale, and originated in Europe. The dandelion is light sensitive, and will open in the morning with the sun and close again when the sun sets. They also remain closed on very cloudy or rainy days. Dandelion is often used as an herb to treat various health issues like arthritis, PMS, liver problems, acidity in the body, poor digestion, allergies, eczema, gout, low blood pressure, poor circulation, high cholesterol, bad breath, constipation and more. It’s also commonly used as a sleep aid, and supports the metabolic system. Dandelion herb contains a rich amount of essential vitamins and minerals like vitamin A, vitamin K, vitamin C, vitamin E, niacin, folic acid, riboflavin, potassium, manganese, calcium, iron and magnesium, as well as beneficial polyphenols like beta-carotene, lutein, zeaxanthin and cryptoxanthin. Dandelion is also a natural diuretic, which makes it an effective treatment for bloating and water retention. To treat water retention with dandelion, steep a teaspoon of dried dandelion herb in a cup of boiling water for ten minutes. Strain the water and drink once cooled, up to three times a day. Dandelion can occasionally cause an upset stomach or diarrhea, but it’s generally considered safe to take.